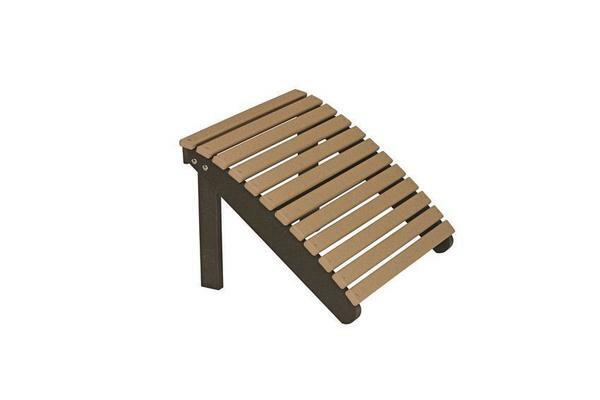 Take your beautiful, comfortable Adirondack Chair to the next level with our Amish Poly Adirondack Footstool. Made to pair perfectly with your Berlin Gardens Adirondack Chair and allow you a place to rest your tired legs, our Adirondack Footstool is a great addition to your collection! Crafted from maintenance-free, environmentally sustainable poly, our Berlin Gardens Collection is the "green" choice for outdoor furniture. Build you dream outdoor retreat around our Berlin Gardens Collection today! Call one of our Amish Furniture Specialists today to answer your questions and start your order by phone. Toll-Free (866) 272-6773. Total Width - 23 1/2"